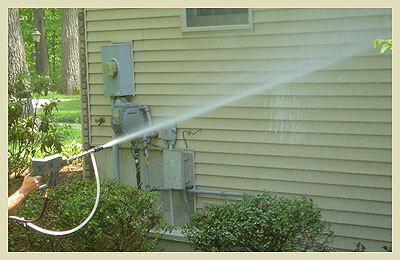 Many people often wonder why they need a house pressure washing in Florence. There are in fact many great benefits that come with getting your house washed. First, getting a house neat and clean again enhances your property’s curb appeal. This can be helpful whether you are trying to sell or rent out your house or just be the envy of the rest of the neighborhood. Either way, getting a house wash is a win-win for your property’s appearance. Another benefit is the improved health and safety that comes with getting your house washed. Power washing a house rids the siding and concrete of nasty mold and grime that can make you sick or possibly injure yourself from slips and other accidents. One final benefit from having this done is the convenience. We all want our homes to look as nice as they possibly can, but a lot of the time people don’t have the time necessary to clean their home’s exterior on their own. What’s more, even with time on your hands to clean your house yourself you still need the relevant knowledge, equipment, and expertise to do the job properly without hurting yourself or damaging your property. This is where hiring a professional pressure washing contractor like Clean Finish comes in. We are a very experienced company capable of cleaning not just homes but anything else you might need. We look forward to helping you and giving you the very best service available. You can get started on your house pressure washing Florence SC today by emailing us at west@clean-finish.com.